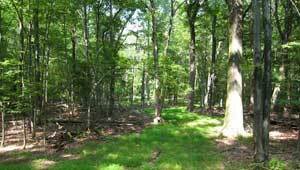 Protecting these 60-plus acres in Morris County had been a priority for protection for years when The Trust for Public Land began work on a conservation solution in 2005. In 2010, TPL and the New Jersey Conservation Foundation completed efforts to preserve the property, which is named for its distinctive copper beech trees. The land is both a critical water resource in the New Jersey Highlands and provides another link in a growing network of preserved lands. Copper Beech is key step in the county's efforts to link up natural areas such as Wildcat Ridge, Dixon's Pond and Pyramid Mountain.